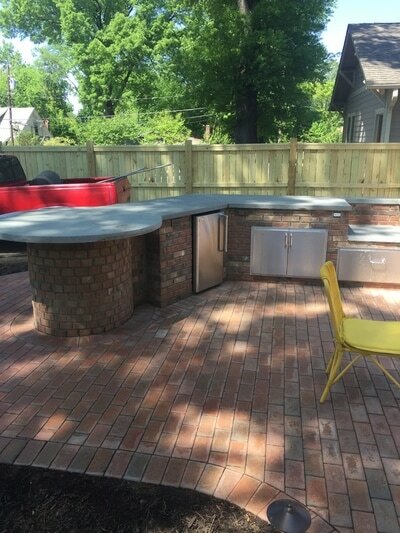 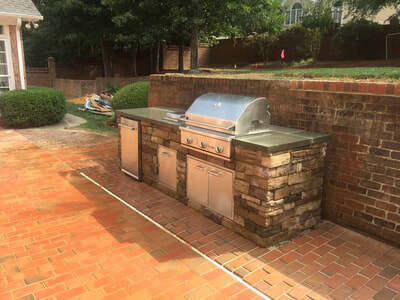 CHARLOTTE OUTDOOR KITCHENS - Design and installation of custom outdoor kitchens in the Charlotte area. 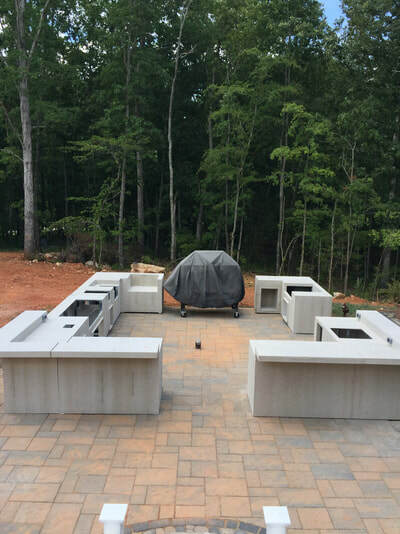 Indian Land / Fort Mill SC area kitchen island with patio and pergola. 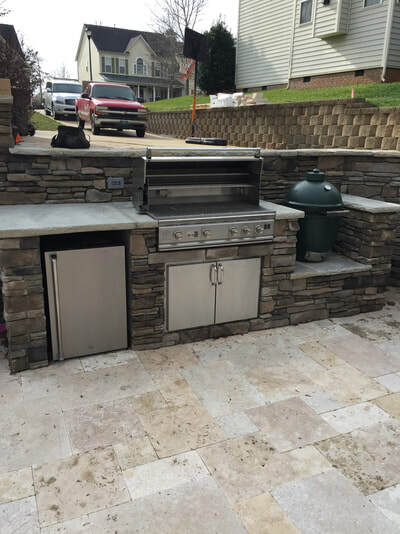 From start to finish, we specialize in the design & installation of all your outdoor kitchen needs. Our landscape design company, Fine Edge Landscape Design, has been in business since 1992 and it gives us the ability to properly grade your project area, design your space and install all design components. 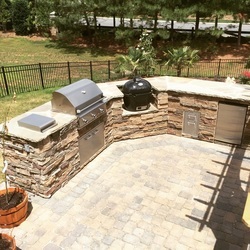 This website just showcases the outdoor kitchens we've designed and built in the Charlotte area. 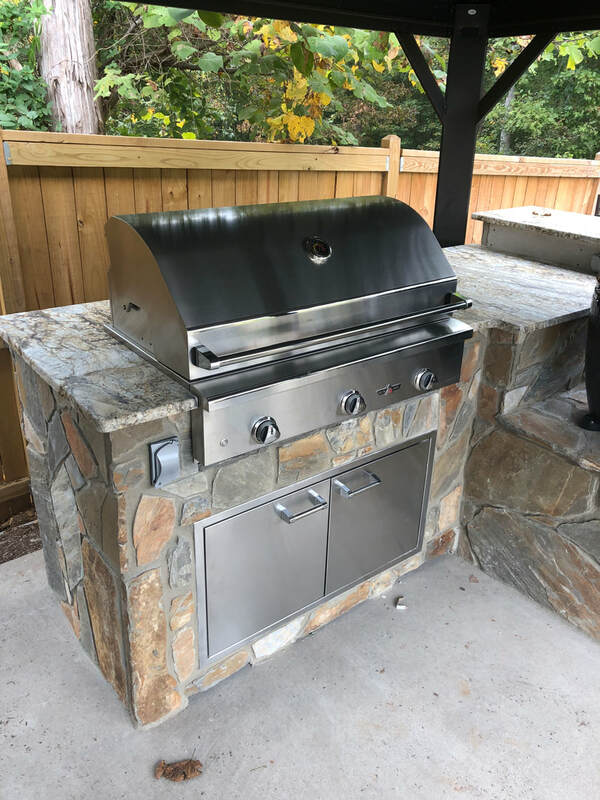 We work closely with different gas, electrical, plumbing and granite contractors which makes the entire process very easy for everyone involved. You won't have to spend your valuable time hiring different companies. 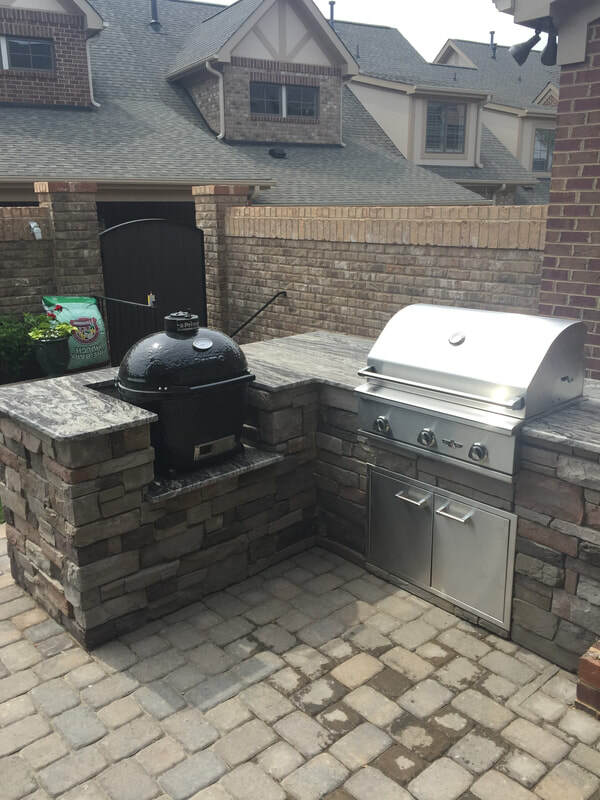 We line up and coordinate with everyone involved. Our warranties range from 5 - 10 years on all of our hardscape projects. 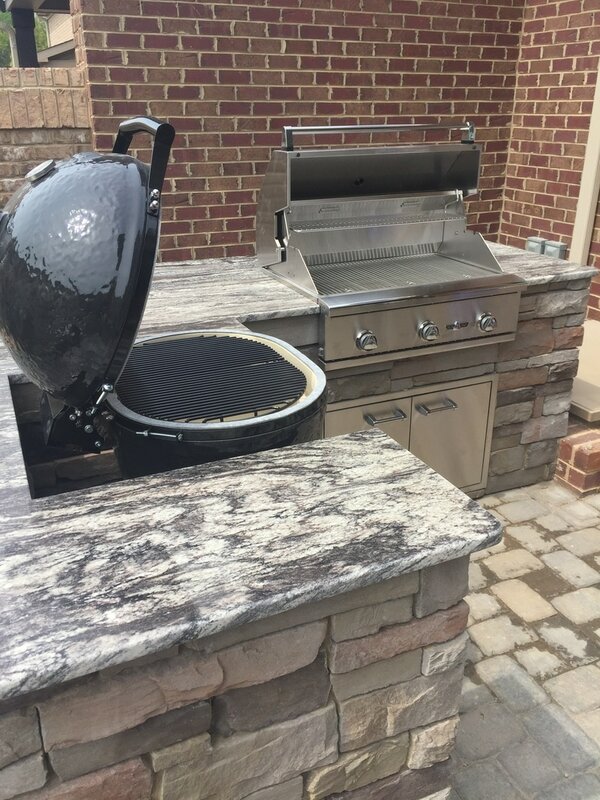 All of our grills and outdoor kitchen island components are made in the USA and carry their own warranties. 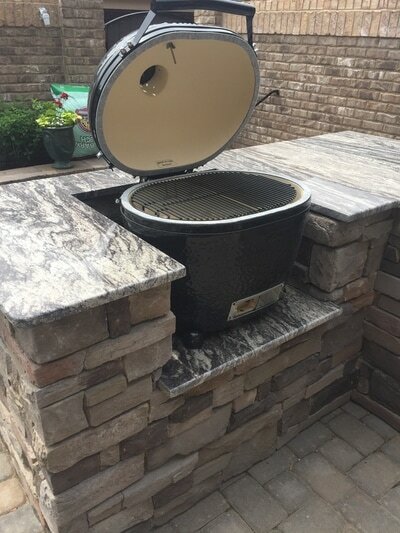 Many of the warranties will be at least 15 years on burners and up to a lifetime warranty on burners and shell. ​ In addition to our custom design & build services, we now have various grills / smokers on display at our retail location in Monroe, NC. 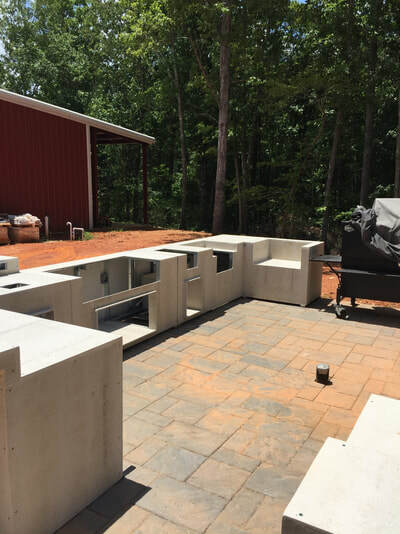 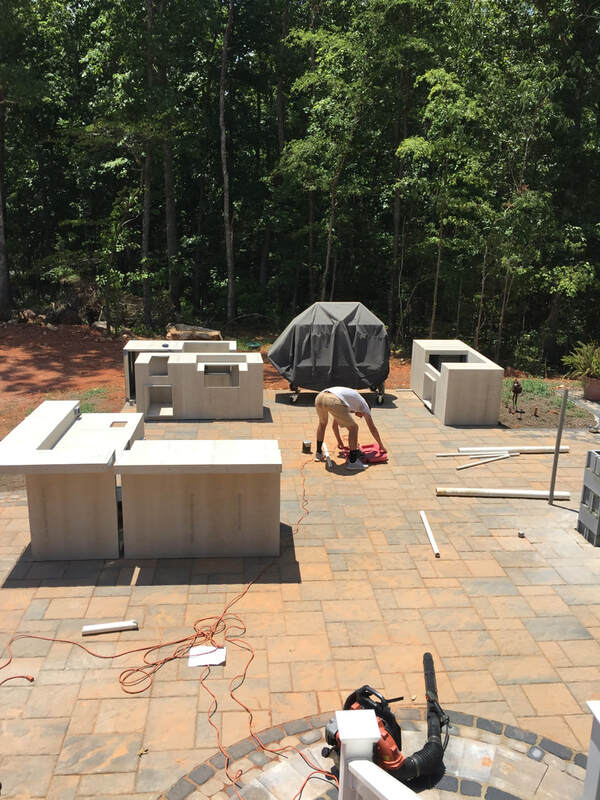 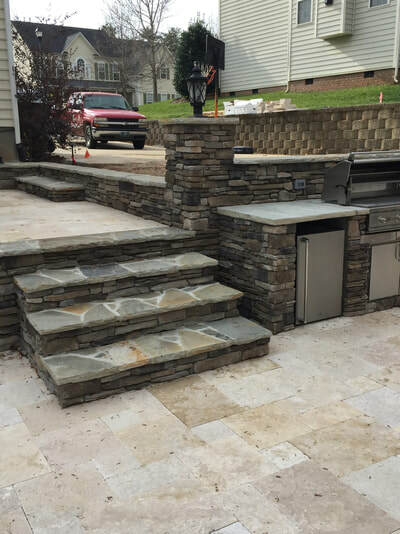 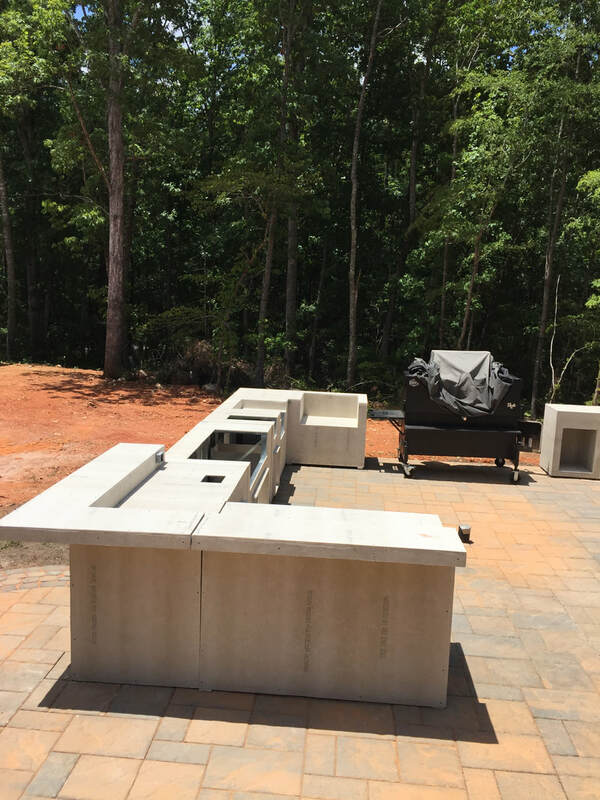 This allows our clients to come into the store and see almost all of their outdoor kitchen island components as well as paver and stone selections. If you have a challenging project or need an existing renovation, please don't hesitate to contact us as we have many years of construction experience. One of these was just completed and the other one is currently in the construction phase. 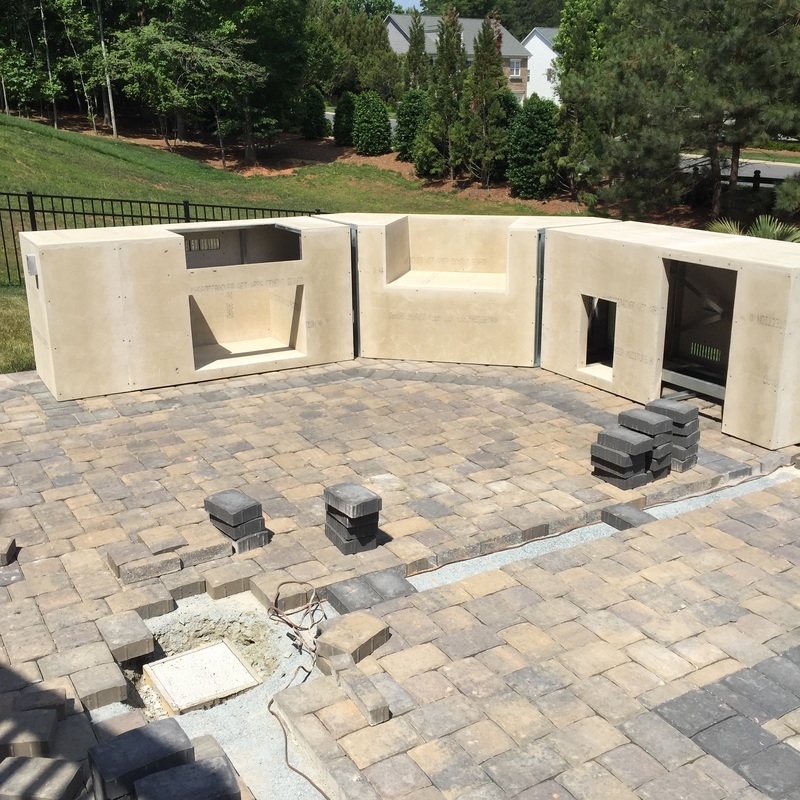 This outdoor living project in Midland, NC features one of our biggest outdoor kitchens to date. 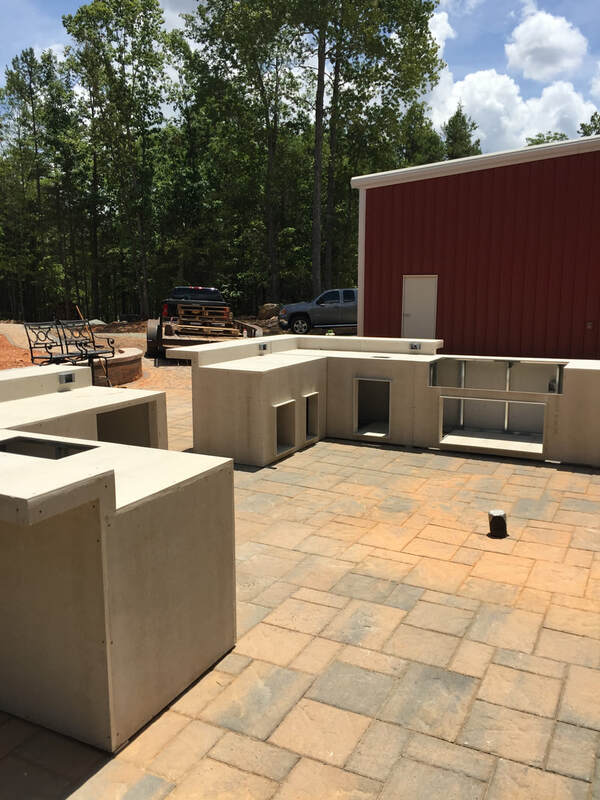 As the patio was being installed, we ran all sleeves and drainage pipes to make sure we had proper access for all utilities. 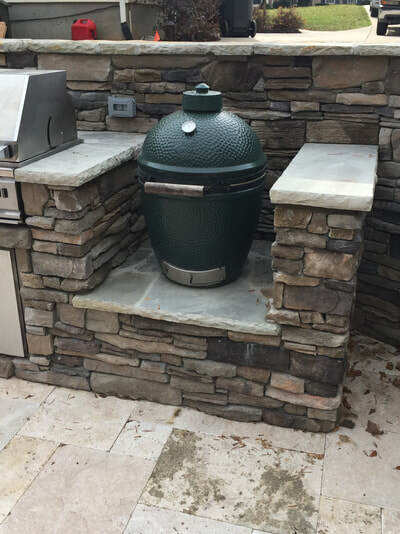 Most of the components are the Twin Eagles brand with the exception of the Evo cooktop and Big Green Egg ceramic smoker. ​In addition to the multiple cooking appliances, there's also plenty of storage space, refrigerator, drop-in cooler and ice maker. 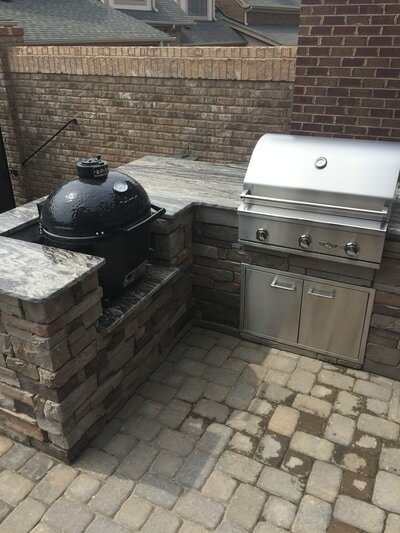 Here are a couple of recent outdoor kitchen projects that we have designed, built & completed. 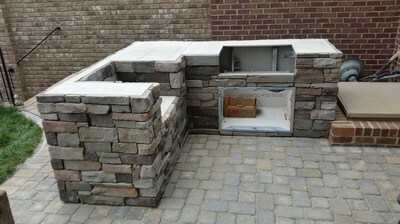 ​More in depth pictures can be found in our gallery. After an initial consultation for your outdoor kitchen, we will provide you with a design and CAD drawing of your kitchen island. 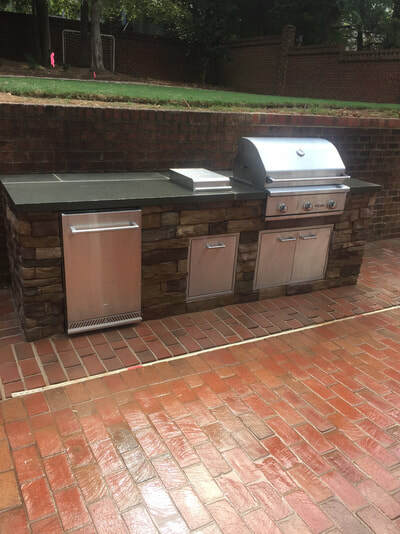 This will include all components such as grill, side burner, sink, drawers, doors or paper towel holder. In addition, electrical outlet locations will be marked and all cut-out sizes will be listed. 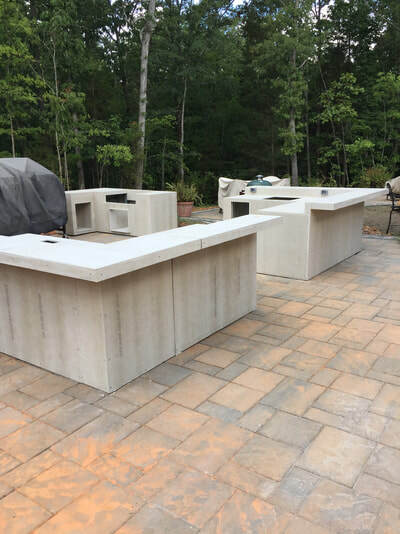 While most of our islands are welded steel with a Hardi concrete backer board, we can still customize your kitchen island using block and mortar if needed. 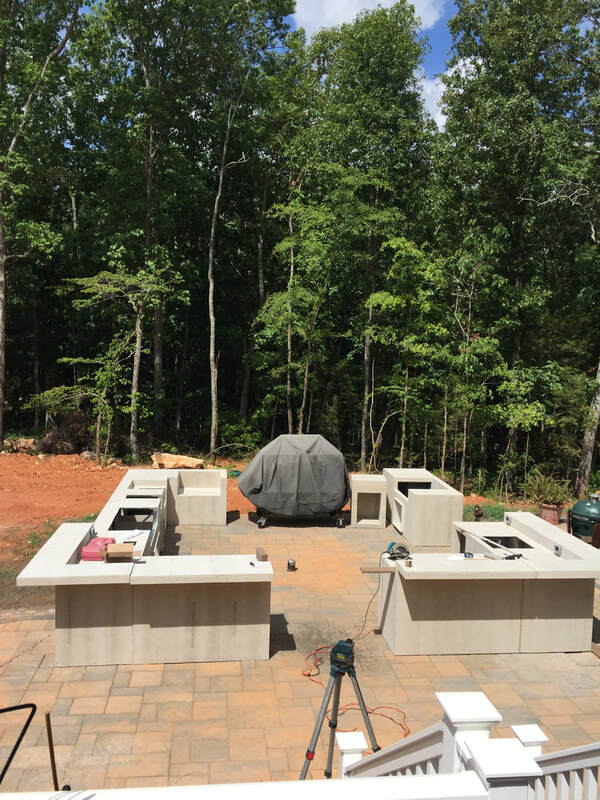 Below you'll see a sample CAD design and one of our islands ready to be leveled and bolted together. 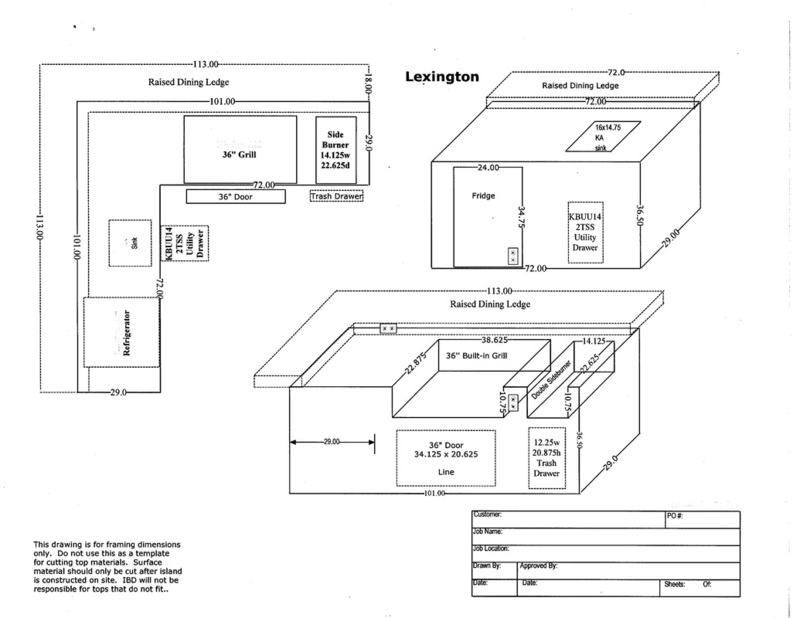 Sample CAD drawing of our kitchen island. Outdoor kitchen island base units ready to be bolted together and then prepped for stone installation. Serving the Greater Charlotte area which includes the following: Waxhaw, Weddington, Marvin, Wesley Chapel, Matthews, Indian Land, Fort Mill, Pineville, Mint Hill, Monroe, Indian Trail, Concord, Huntersville, Cornelius & Lake Norman. 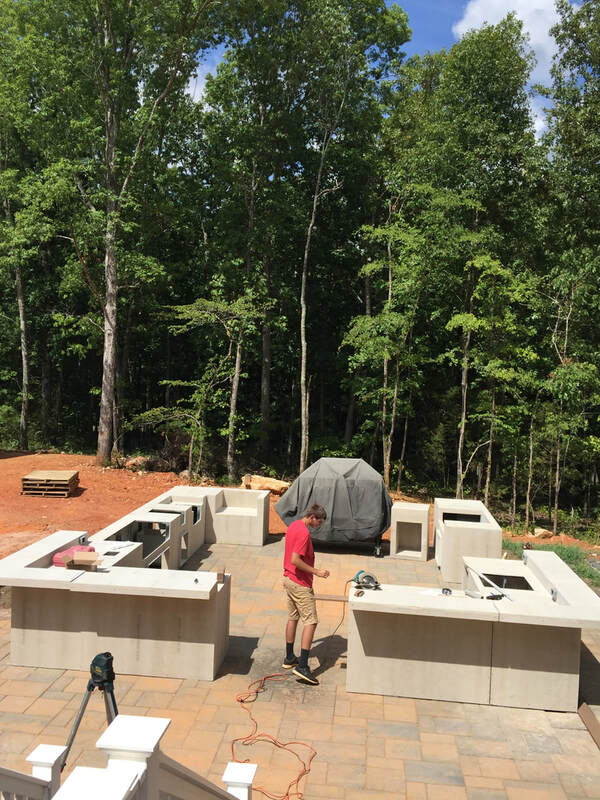 704-238-1900, ask for Dave or MIke. 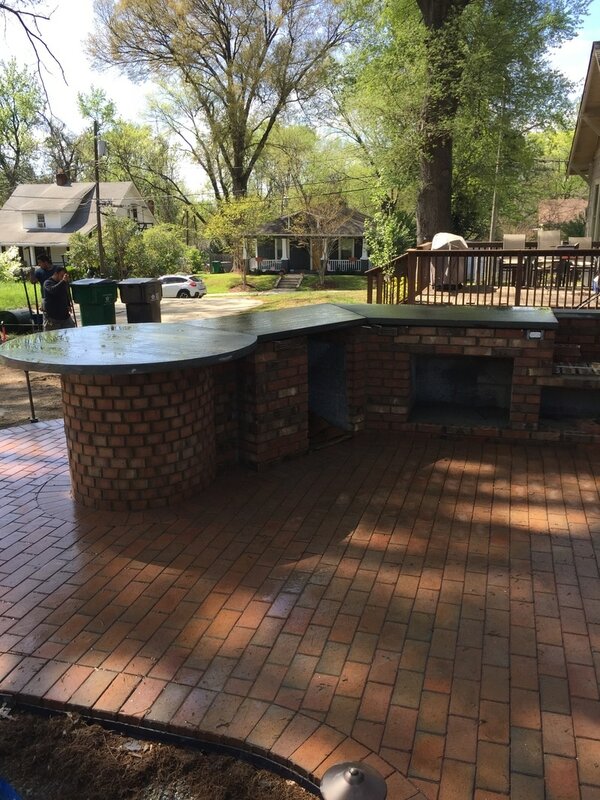 Feel free to call us at the number below for a quicker response.